There is great appreciation (in the Kingdom) for everything that God created, because of the calm knowledge that each one is part of Him. When my hostess put down her her coffee cup and fixed me with a stern stare across the lunch table, I felt a tremor of apprehension. I had driven for two hours to collect the four year old mule she had offered me, and on arrival had been hustled past the animal tethered in the grassy lane outside the charming cottage, with the information that lunch was ready. Over the meal which was not only ready but exceptionally good, the conversation roamed over many subjects but barely touched on the reason I was here. However good food and interesting conversation were a soothing combination and it was only when my charming hostess began to speak that I felt any real anxiety. 'Certain conditions must be met before I agree to the sale.' Her voice, I felt, had taken on a steely touch. I carefully replaced my own fine china cup in its saucer and met her eyes. 'Yes?' I murmured. It was a question – not agreement. I happily agreed to that. After all it was to my advantage, if I found I didn't after all like or want her, I could simply return her. 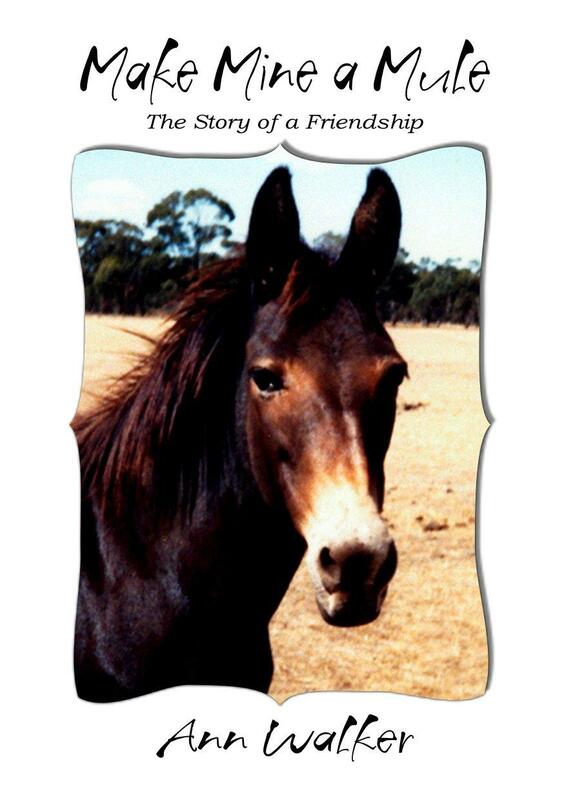 COVER and opening words of first chapter of MAKE MINE A MULE the story of a relationship that lasted 28 years. Publisher EQUILIBRIUM BOOKS.